Box Text: All of the individual athletic disciplines are yours- speed, strength, stamina, and the desire to win. But they will all have to come together as one, because you're about to participate in the most prestigious video sporting event in history. 01-31-2012 pacpix Box Text All of the individual athletic disciplines are yours- speed, strength, stamina, and the desire to win. But they will all have to come together as one, because you're about to participate in the most prestigious video sporting event in history. 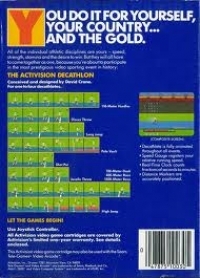 This is a list of VGCollect users who have Activision Decathlon, The in their Collection. 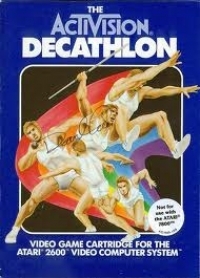 This is a list of VGCollect users who have Activision Decathlon, The in their Sell List. 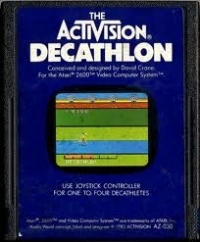 This is a list of VGCollect users who have Activision Decathlon, The in their Wish List.